Thank you. Im really looking forward to this career change! I am 51 years old and I am trying to bring back my past life as a teenager, lol. I know I got a DUI as a teen. I got my Colorado DMV history and shows no traffic incidents or tickets. I bought a Colorado Bureau of Investigations criminal report and it came back clean. They stated that sealed records and juvenile records are not available to the public. 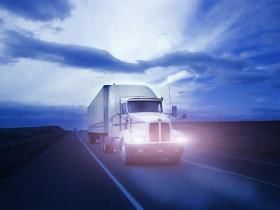 Is this different for trucking companies? I am thinking I will still disclose my DUI as a juvenile to be safe but am just curious if trucking companies can go back that deep and get juvenile records like the military does? No, you will only pay a state income tax for your state of residence. Most of the larger carriers can even handle the state income tax withholding for you. My next question would be: If I continue to claim FL as my residence, am I correct in assuming that I will file tax returns in both Florida and the state the Trucking co. will be paying me from since I will probably have state income tax deducted from the trucking companys state of business? Now for my question: Once I have my CDL with the address of the home I am selling, after the house sells can I change my address to a mail forwarding service (popular with full time RV'ers) in the state of Florida with just a cell phone bill and CCW permit without any CDL issues? That being said, what if down the road I wanted to transfer my Florida CDL to a South Dakota mail forwarding service? Hey Brad, good question. I am currently a full-time RV'er looking to start CDL training in Jan 2019. We use a mailing service called "Escapees" right now (I'm guessing it might be the one you are referring to) with TX as our state of residence. Although we don't spend much time in Texas we do several things to justify it as our domicile: Driver's Licenses, Concealed Carry Permits, Voting, Updated Wills, Jury Duty (though amazingly easy to defer when I was away from the state and got the summons), Bank Account, etc. Although TX has no state income tax, paying tax to a state will certainly help solidify your legal residence. Money talks! I am currently a home owner in Florida. I am going to get my CDL through Suncoast Trucking Academy here in SW Florida. During my 10 weekend course my house will be on the market to hopefully sell by years end. I am kind of planning on graduation, home sale and out of state company OTR training to fall into reasonably close timelines. I am single, 51 years old with hopefully 15 years of work life remaining, my daughter is grown and living in Ohio, I love driving, I consider myself a loner and have very strong work ethic. I just want to drive and bank roll my retirment. It's just my dog and I so my plan is to be a full time trucker living in the truck. Once my home sells and I have my Florida state CDL I do not plan on buying or renting another home. I've read some threads here on TT but all are a few years old and it's my understanding that laws have change a bit so I'm hoping that someone has some urrent accurate info on the subject. My other question regarding the topic, I know you need a physical address to get the CDL, but do I need it for any other reason after I get my CDL or can I just open a PO Box and lose the physical address? Has anyone out there gone the route of selling their home or have decided not to rent, but rather, buy an RV for your full time residence outside of the truck? If so, I would love to hear about any pro's/cons when combined with the trucking lifestyle. I am looking at all options when it comes to cutting costs, as this well needed career change will be a bit of a salary cut for me for a few years, from what I've heard and read.